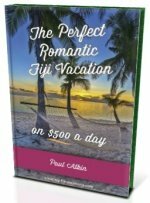 Want to take a cruise to Fiji? Find out about cruises that go through the exotic Fiji islands. It doesn't get much better than a getaway cruise that stops in tropical paradise. However if you planning a Fiji vacation trip and wanting cruise/sailing options within the Fiji islands, then there are some stunning options available. And speaking from experience, it certain adds another dimension to your already relaxing vacation/holiday. Check out our Fiji Cruises section for details. Prior to 1980, cruises offered deck chairs and umbrellas with little else. From 1980, amenities began to increase until today, 2012 and beyond, it's a small city of water. There are two major cruise corporations in the world; Royal Caribbean International and Carnival Corporation. There are many cruises with various cruise lengths. The shorter cruises around 7-17 nights have their itinerary, including departure port, in and around Australia, New Zealand, and the Pacific islands. The longer cruises, typically over 20 days in length, have departure and arrival ports including: Sydney, L.A., Vancouver, Seattle, Honolulu, Auckland and Tahiti. 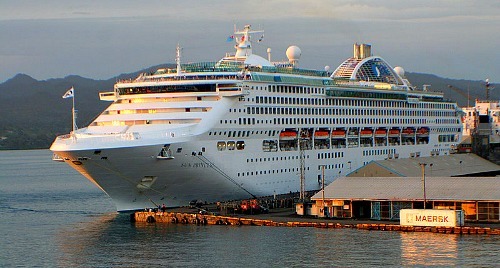 Royal Caribbean generally offer 9 to 18-night cruise itinerary's that stop in Fiji. The usual point of departure being Sydney and Honolulu. The quiet months for stopping over in Fiji are from April to August. That's the months leading up to and including winter. Be careful... for the Fijian winter can be brutal with temperatures bottoming out in July at 18°C (64°F)! There are many cruise lines with various cruise lengths with various itineraries. Cruise lengths vary from just a couple of days to popular lengths of 7-21 days to the ultimate 365 days a year where you purchase a suite and live on it. Nice for some waking up to a different destination each morning! 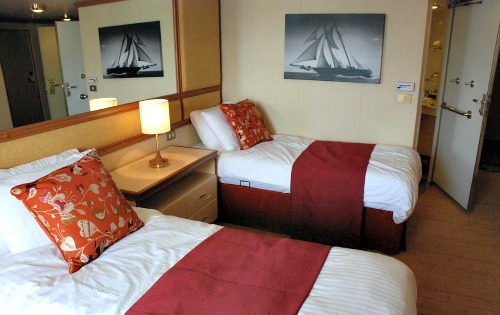 Also each cruise line and each ship have varying amenities with various levels of service. Some are luxury, some are adults-only, some are family orientated, some may speak predominantly Japanese to name a few. So it's important to choose your cruise carefully to avoid disappointment. You probably wouldn't want to be an elderly couple on a party cruise aimed for under 25 year-old's! Of course another factor to consider are the ports of departure and arrival. Sometimes they are different. So you may need to travel interstate or abroad in order to take that particular cruise. Bottom line, a cruise to Fiji should definitely be on your itinerary!